The Technical Tsunami™ transforming our industry demands more than training courses aligned to meet the complex repair needs of today’s advanced vehicles. It requires robust training solutions, beginning with a complete enhancement of our Professional Development Program™ (PDP) courses, as well as retooling everything from curriculum to delivery and from accessibility to pricing – all designed with the goal of learning excellence. I-CAR® has the industry to thank for the candid and continuous input guiding these enhancements – more than five years in the making! 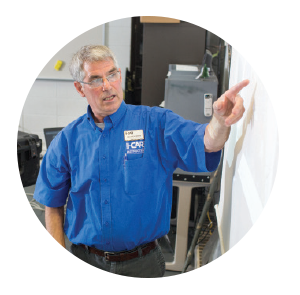 As the industry standard in training for nearly 40 years, take confidence in knowing that I-CAR’s curriculum, program and service technology enhancements are designed to lead your shop – and the industry – through this extraordinary era of change, ensuring your shop’s ability to thrive in the months and years ahead. From Rivet Bonding to Brake System Electronics Operation and Damage Analysis to Capturing Quality Photos, and Blueprinting for the Non-Structural Technician to Full Frame/Unitized Structure Pulling Strategy and Planning, stand ready to choose from 267 NEW AND UPDATED COURSES to tackle the most complex vehicle repairs impacting your business. 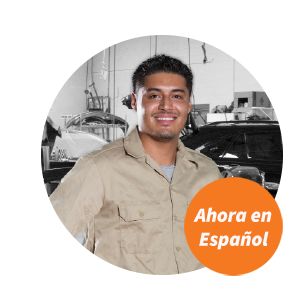 In 2019, most of the required I-CAR online courses will be available in Spanish, offering great opportunities to engage more technicians in training! 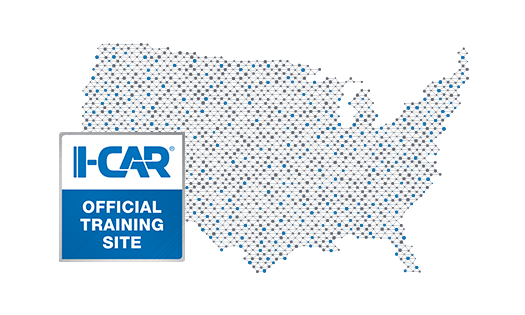 I-CAR is now offering courses at 250+ I-CAR OFFICIAL TRAINING SITES throughout the nation, through a consistent schedule of year-round classes, providing more accessibility and the ability to plan training needs in advance. New locations continue to be added, especially in rural areas. 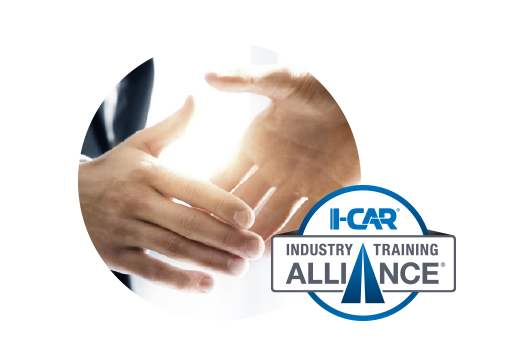 To improve connectivity of I-CAR training to the Inter-Industry, the I-CAR Industry Training Alliance program is also noting some enhancements. Students who take Alliance courses, provided by an I-CAR Sustaining Partner™, aligned to the PDP will no longer be required to submit an additional payment and form to I-CAR to receive credit. The Alliance credit will be processed between the training partner and I-CAR is working to bring all OEMs into the program. 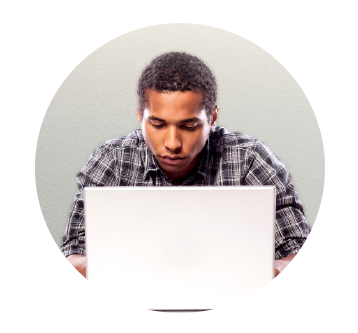 It’s our biggest curriculum enhancement yet, and integrates ongoing, continuous feedback from the industry, including technical subject matter expertise. 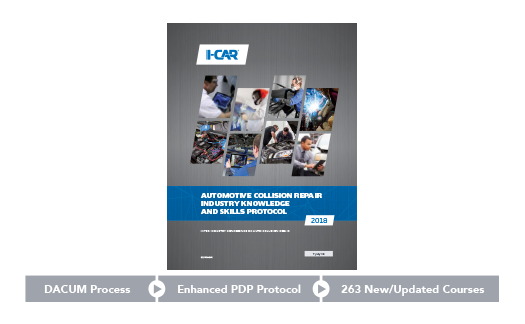 Accordingly, I-CAR’s Professional Development Program is designed to establish clarity on the requisite terminal and enabling learning objectives, documented as knowledge and skills, to achieve such repairs, as defined by industry stakeholders in cooperation with I-CAR. Incomplete or incorrect welds on structural repairs can lead to compromised structural integrity, and ultimately, decreased occupant safety. Additionally, the avalanche of mixed materials and new vehicle technologies requires an increased commitment to welding training and certification. 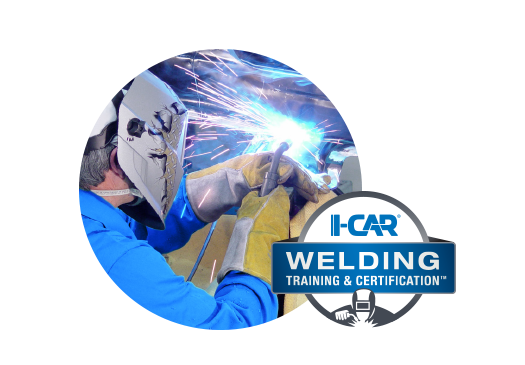 To maintain up-to-date skills and knowledge, WELDING CERTIFICATION RENEWAL PERIODS WILL OCCUR EVERY THREE YEARS, versus five, with technicians able to partake in an annual skills assessment to ensure proficiency.